Here is a list of payments transferred by users. 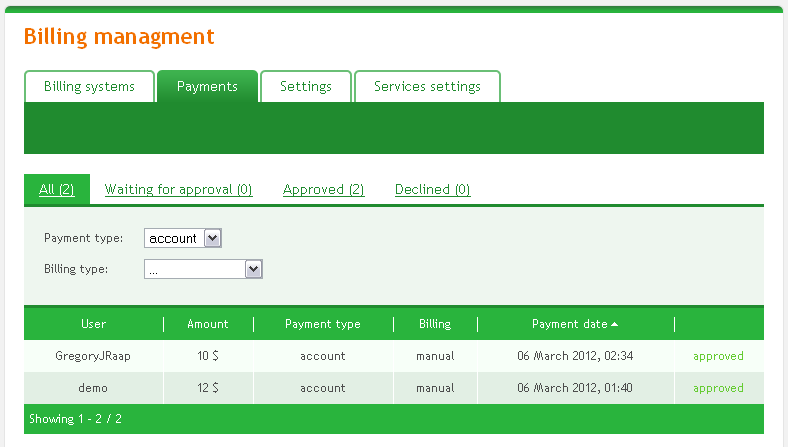 Payments list can be sorted by user, payment amount, payment type, billing type and payment date. In most cases payments are approved by a billing system automatically. In some cases manual approval is required. These payments are marked as “Awaiting approval” and can be approved or declined. Manual billing type means the funds was add by administrator manually.